When a marriage breakdowns either a man or woman can initiate a divorce. If it is recognized under British law (because it took place abroad and was registered with the relevant authorities in the country or if a civil marriage was conducted in Britain), then a divorce needs to be obtained through British courts. Even after obtaining a divorce under civil law (if applicable), Muslim women will also want to be divorced in accordance with her faith. With regards to the Islamic marriage, the woman will need to involve a religious authority. In Muslim countries, this would be the Islamic court. However, in the West where Muslims are living as minorities, women must approach institutions or individuals that are recognized as a religious authority (e.g. mosque, shariah council, Islamic scholar or cleric). A fee is usually paid in return for assistance with the divorce. However, women's experiences show that the service they receive varies according to culture, school of thought and religious sect. Although some women have positive experiences and are helped swiftly, many others are discriminated against. Phone: 0121 440 5355/ 0121 446 4157 As practices vary amongst shariah divorce services, we DO NOT endorse this service nor can we guarantee the quality of the service they provide. These details are for information only. Phone: 0207 725 2206 As practices vary amongst shariah divorce services, we DO NOT endorse this service nor can we guarantee the quality of the service they provide. These details are for information only. Phone: 07858 344378 As practices vary amongst shariah divorce services, we DO NOT endorse this service nor can we guarantee the quality of the service they provide. These details are for information only. Phone: 020 7604 5516 This is a Shia divorce service. As practices vary amongst shariah divorce services, we DO NOT endorse this service nor can we guarantee the quality of the service they provide. These details are for information only. Phone: 0208 558 0581 As practices vary amongst shariah divorce services, we DO NOT endorse this service nor can we guarantee the quality of the service they provide. These details are for information only. 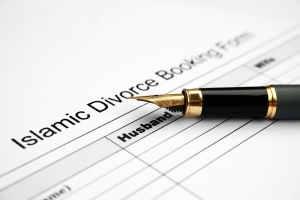 Phone: 0151 709 2560 As practices vary amongst shariah divorce services, we DO NOT endorse this service nor can we guarantee the quality of the service they provide. These details are for information only. Phone: 0161 434 2254/4544 As practices vary amongst shariah divorce services, we DO NOT endorse this service nor can we guarantee the quality of the service they provide. These details are for information only. Shaykh Abu Muntasir also known as Manwar Ali operates this service. Phone: 0747 932 3717 As practices vary amongst shariah divorce services, we DO NOT endorse this service nor can we guarantee the quality of the service they provide. These details are for information only. Phone: 07769690786 As practices vary amongst shariah divorce services, we DO NOT endorse this service nor can we guarantee the quality of the service they provide. These details are for information only. Phone: 0203 3849412 As practices vary amongst shariah divorce services, we DO NOT endorse this service nor can we guarantee the quality of the service they provide. These details are for information only. Phone: 0800 999 5786/ 0303 999 5786/ 07415 206 936 Muslim Women's Network Helpline can be contacted if you require help in navigating or understanding the Islamic divorce process or having problems obtaining a divorce. Phone: 01924 464122 As practices vary amongst shariah divorce services, we DO NOT endorse this service nor can we guarantee the quality of the service they provide. These details are for information only. Phone: 0121 773 2756 As practices vary amongst shariah divorce services, we DO NOT endorse this service nor can we guarantee the quality of the service they provide. These details are for information only. Phone: 020 8992 6636 As practices vary amongst shariah divorce services, we DO NOT endorse this service nor can we guarantee the quality of the service they provide. These details are for information only.